Tow little mice fell in a bucket of cream. 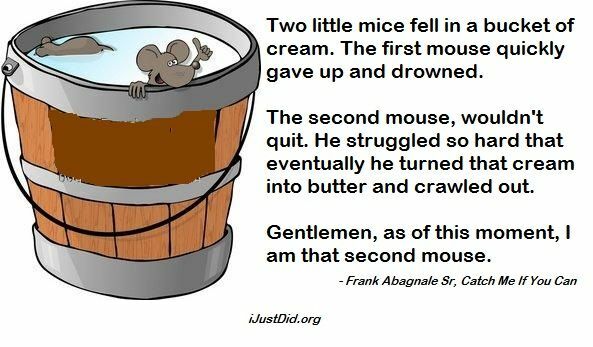 The second mouse, wouldn’t quit.He struggled so hard that eventually he churned that cream into butter and crawled out. Gentlemen,as of this moment, I am that second mouse.